Tuning firm specialists Fox have given the 2012 Honda Civic Coupe some serious upgrades. How does 500hp sound? Although the Frankfurt Auto Show is currently taking place, we&apos;re already looking towards this year&apos;s SEMA show this November. And now tuning company Fox plans to seriously upgrade a 2012 Civic coupe for the event. Under the hood, the tuners are in the final stages of preparing a 500hp turbocharged engine to power the newly redesigned coupe. 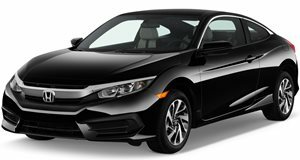 The Civic will also receive an upgraded chassis and extensive exterior modifications. In other words, the aftermarket specialists have given the Civic coupe a touch of what goes into a supercar that should make for a very impressive debut. SEMA will kick off from November 1st to 4th in beautiful and sunny Las Vegas. While we can&apos;t guarantee the people will hit any jackpots, we can say that Fox has likely hit the jackpot with this project. You can also check out the series of photos they&apos;ve released of the car going through the final building process.